Over the last 3-4 years I've watched my peers - the sisterhood - develop and stylise their Muslim fashion according to culture, catwalks and personality. This isn't a bad development, in fact it's the creation of a whole new niche to what young Muslim women want and wear. Exhibit 1: Hijab Bands. 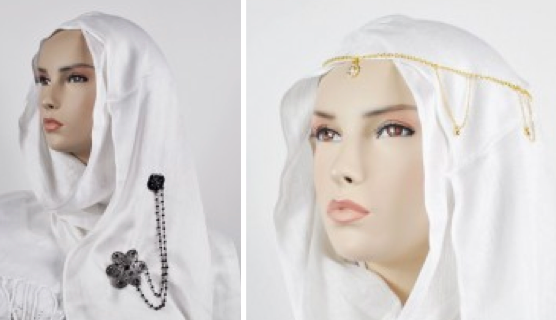 These 'alice bands', 'kylie bands' or plan hair bands, are stretchable accessories worn over the headscarf (aka hijab/khimar) to hold it in place and they function as a decoration. They offer Muslim women - including adults - a quick and easy way to reinvent their headgear with chic and glam-bam looks. It's like hair-putty, for the headscarf. Exhibit 2: There is increasing female demand to decorate their scarves in addition to prints and wrap-styles. As a fellow brooch lover, pins and badges (buttons) are on the rise for formal wear, school girls have their emo-retro designs and fashion-aware teens use chain-necklaces and gigantic fabric flowers to jazz up their coloured scarves. It's very much like simply taking everyday women's jewellery and pinning this all over the scarf. 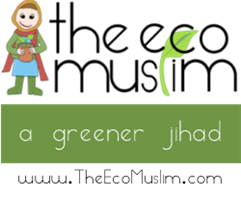 Take for example, the morphing of hijab + bling to make 'hijaabling', courtesy of Amena from hijab store Pearl Daisy. 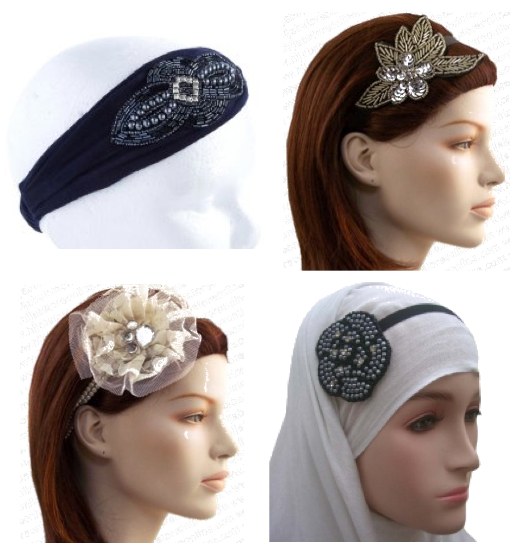 Finally there is the slightly extravagant, but equally hijab-friendly, applique and embroidered headbands made by creative folks. This Gold Charleston Headband is £80 from Etsy. 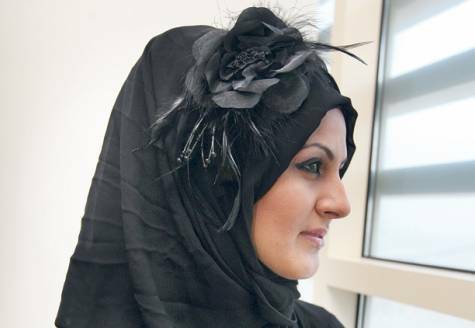 Check out Hijab World's collection of headbands, and the 70's inspired rosettes from Hijab Fashion Shop for a quid! 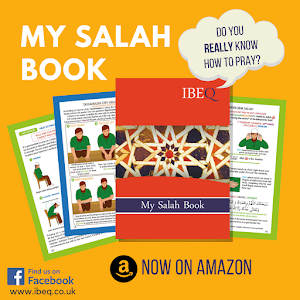 (£1). 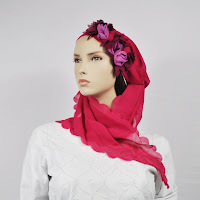 the hijab-bling/accessories or whatever look super cute on headscarves....but i cant pull it off just yet! The existing hair accessories are really looking mind blowing and heart throbbing. 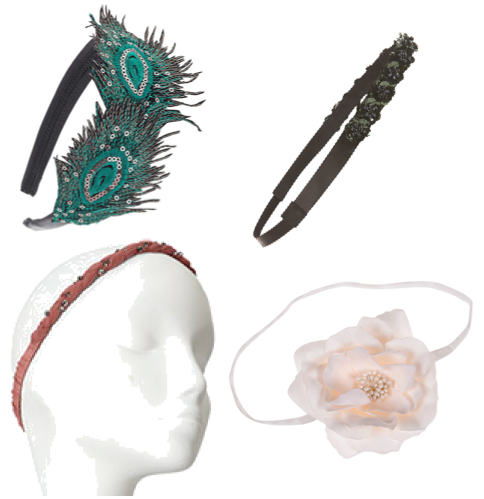 I have really found some incredible and exceptional hair accessories in this post. And they are really looking just unique varieties thing. Thanks for sharing some big source about it. It's massively looking one of the most fantastic experienced post to see them. later on it'll be more about how to get attarction than to aviod one- the reason behind hijab.. :( s.a.d.